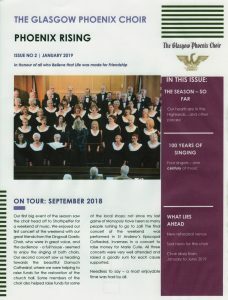 At a recent rehearsal we celebrated and honoured four of our choristers who this year clock up 25 years of singing with the Glasgow Phoenix Choir. 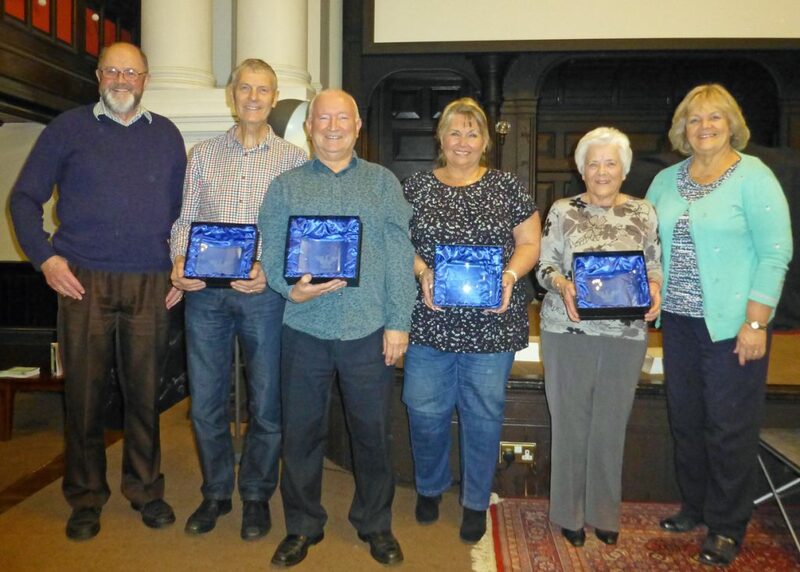 Each was presented with a Phoenix crystal ‘wave’ bearing the choir logo and motto and the dates of their membership. Well done and congratulations to (from left to right), Ken O’Donnell (2nd Tenor), Stewart Moir (1st Bass), Janette Walker (1st Alto) and Anne MacDonald (1st Soprano), seen here with Choir President Angus Leitch (extreme left) and our Conductor Marilyn J Smith (extreme right).